The dream of having that fresh-faced glow is here. Bobbi Brown has partnered with New York City-based fashion designer Ulla Johnson to create a limited-edition collection as effortless and ethereal as her designs. What makes this release special is the fact that each of the palettes are named for the designer's beloved heroines and muses, seeking makeup that reflected her design aesthetic. "Bobbi Brown is an iconic, NYC-based female founded company with a strong emphasis on enhancing a woman's natural beauty so on many levels it felt like a very authentic partnership to me... the city is my muse and backdrop for everything that I do. My designs and personal style are both very boldly feminine and optimistic and this vibe was very important to communicate in the collaboration" said Ulla Johnson. 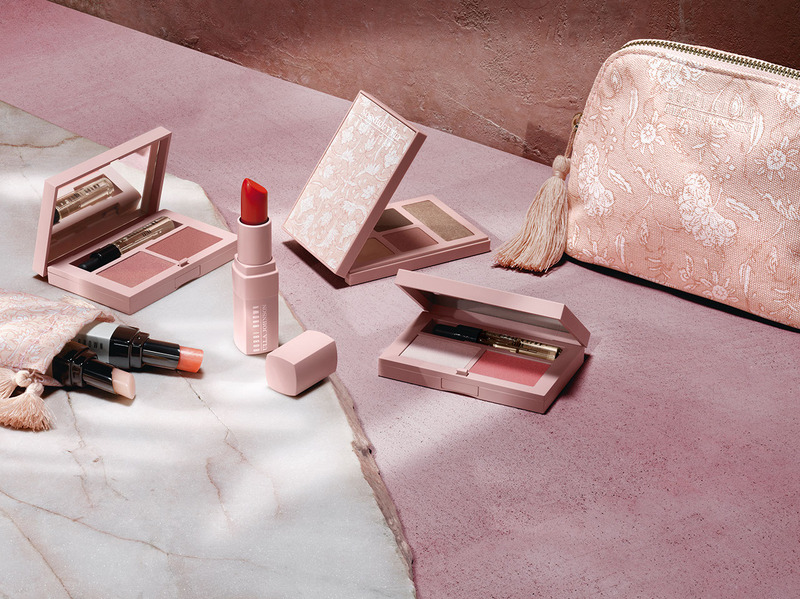 The collection features an array of sweet and shimmery makeup products from sheer blushes and creamy highlighters, shimmery pastel eye shadows and a punchy lip color, that is true for Ulla Johnson as well. The limited edition MINOU Eye Palette consists of new and fan-favourite shimmery, sheer eyeshadow shades curated by Ulla. It's neutral yet versatile shades, perfect for creating a multidimensional eye look and of course the pale pink floral print packaging that is iconically Ulla. ESME & YNEZ Cheek Palettes is a duo cheek palette with a cream formula blush and highlighter. Also it includes a mini vial of Bobbi Brown skincare line's coveted Extra Face Oil for an added boost of moisture and glow. Finish off the look with an extra punchy lip color with Crushed Lip Color LouLou, a soft, matte pigmented lipstick in vibrant orangey-red for a no-fuss, lived in pop for color pout. And for a day to day lips option, there's Extra Lip Tint Bare Pink & Sparkle that comes in the classic shade of sheer pink with a hint of shimmer. Every single product is here to create a fresh-faced glow look for you. The Bobbi Brown x Ulla Johnson collection is exclusively available from April 2019 at selected Bobbi Brown Cosmetics Counters (Pavilion KL, Suria KLCC & Mid Valley Megamall) and @BobbiBrown.com.